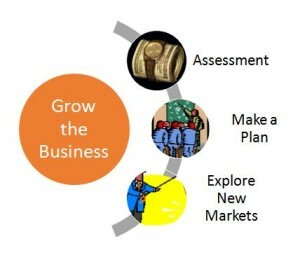 ShedWater works with business owners to develop and implement strategic plans. Do you have time to grow a business if you’re too busy putting out fires, filling in for absent employees, or getting text messages at 5 am and 11 pm? You don’t because you’re working in your business not on the business. As a result growth comes in fits and starts. Growing the business requires strategic planning. A strategic plan can be as simple as a one page outline against which you review yourself and key team members, or the plan can be pages in playbooks. You need to make the time to work on a strategic plan and then execute it! I can guide you through an in-depth review of your current business practices, improve the way you operate and increase the value of your business. It begins with you and it’s not always about the money. Determining your path forward financially and personally are critical steps toward building a strategic plan. Where do you want to be financially in 3 to 5 years? What kind of life style do you envision? Sell and retire, if so-when? Pass the business on to the next generation? Profitably grow the business to assure financial security for you and your employees? Envision your future life style – you know what your day to day looks like now. How do you want it to look in the next 3 to 5 years? If you plan to retire, what does retirement look like? Where are your finances relative to the retirement life style you envision? Are you headed in the right direction? Every job has its ups and downs. Are you having more down days? What’s it going to take to change that? Once you clarify a path forward it’s time to financially assess the business “as is”. What is the current valuation? Knowing the conservative value of your business is the most impactful measurement you can have. It helps you to prioritize. So why do I need a valuation? A valuation provides an owner with a snapshot of business worth. Businesses with a bank line of credit usually provide annual personal and business financials that list assets, liabilities and net worth. On a personal financial statement your business is listed as an asset and its value is usually calculated as “book value”. Book value is Assets minus Liabilities. Knowing the book value of your business is certainly helpful and a good start. For strategic planning purposes you will need to drill down deeper into your numbers (and processes) to determine where work is needed. EBITDA is the business’s net income with Interest, taxes, depreciation and amortization added back in. Peer to Peer Comparisons – Is your business worth as much as a competitors? 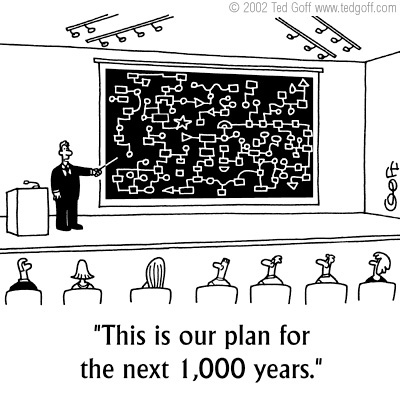 Strategic plans should cover 1 to 3 years, not the next 1,000 years! The strategic planning process is fairly straight forward. An in-depth SWOT analysis by team members – to discuss and record the company’s Strengths, Weaknesses, Opportunities and Threats. Evaluation of the results. Key to a successful plan is to not try and attack each problem or opportunity all at once. The team should discuss and ultimately decide where the best opportunities or vulnerabilities are. It’s a good idea to project out three years. The first annual plan with goals is developed. All team members commit to it. Because these are company-wide goals, no one person should own it. Rather all team leaders and their associated departments should at some level be involved in its accomplishment. Execution of the plan. The first year is always the hardest. The team members go back to their jobs and fall back into the familiar rhythm. To keep the momentum going there should be weekly or bi-weekly team meetings, short check-ins to measure progress, discuss problems, obstacles, etc. Periodic reviews between the owner and consultant – I’ve learned from personal experience that it’s not enough to hold yourself accountable. It’s too easy to put things off. For this reason I suggest periodic meetings to review successes and problems which may derail the process. Your most important job will be to help them meet their goals. If your team is successful, you’ll be successful. More often than not, the initial strategic planning sessions result in an abundance of opportunities. Limiting the number of initiatives increases the chance for success. The planning stage of year two typically includes items and issues which were not addressed in year one. This session should happen a couple months before year end so you hit the ground running at the beginning of your fiscal year. This session generally takes less time but should include a review of the prior year plan and an updated SWOT analysis. The team has experience so the event runs more smoothly and quickly. In the long run you are planning for the next 1,000 years – on a year by year basis. Eventually, the strategic planning process becomes part of the company’s DNA. The consultant should be viewed as a temporary team member who is on-call to assist you in creating the discipline required to stick to the process, implement change and achieve the goals. As the consultant, it is my job to help you improve business. We will set metrics for you and deliverables for me. We are teammates who have the same goals and if it isn’t working we part ways. I work with owners and leaders of water treatment business’ whose growth plans include acquisitions or entry into different market channels. During my career I’ve tried new technologies, opened new offices, acquired companies and ultimately, sold my businesses. The water treatment market continues to be poised for considerable growth. Historically, water softeners have been the bread and butter of the industry. However, environmental restrictions on chloride have spurred the water treatment equipment industry to develop new, more environmentally sensitive technologies. 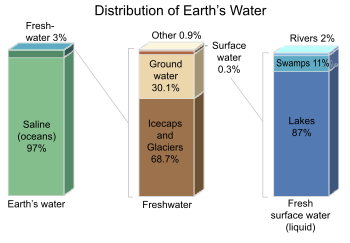 The city water market is still a largely untapped possible source of growth. The majority of home owners and apartment dwellers either drink tap, bottled or treated water from a point of use technology. The years leading up to my term as the president of the Water Quality Association broadened my view of the North American residential water market. Many innovative technologies are developed as residential solutions and later applied to the commercial industrial markets. Regulations often affect home owners well before industry. As a careful observer of these trends I’ve been in the position to advise commercial and industrial water treatment companies and their customers of the potential for future regulations and the resulting opportunities or threats. Increased consumer awareness of water quality and water shortages in North America presents existing water treatment companies with growth opportunities. Addition of a new technology for sale to your existing market. ShedWater consults with companies outside of the water treatment industry who are interested in entering the market through acquisition. My comprehensive knowledge of the water treatment market enables me to educate and guide newcomers through the market place. Regardless of what you do, the best plan of action is to research, strategically plan and prepare for growth.